PRESS RELEASE: Billerica, Massachusetts, June 27, 2018— Nuvera Fuel Cells, LLC, a provider of fuel cell power solutions for motive applications, is among the participants in a project funded by a California Air Resources Board (CARB) grant through California Climate Investments to develop a zero-emissions container handler for transporting freight at shipping ports. The vehicle will incorporate a Nuvera® fuel cell engine to enable longer operating time without recharging, and a fully integrated 250 kW wireless fast charging system provided by WAVE (Wireless Advanced Vehicle Electrification), headquartered in Salt Lake City, Utah. The top loader will be driven and operated by Eagle Marine Services, a terminal operator at the Port of Los Angeles. The grant was awarded by CARB to the Center for Transportation and the Environment (CTE), a non-profit, non-governmental organization based in Atlanta. Other project participants include the Port of Los Angeles, and Hyster-Yale Group, Inc. The project is aligned with efforts to reduce air emissions and health risks by incorporating zero emissions technologies at ports. This project is supported by the California Climate Investments (CCI) program. Nuvera, as an industry leader in developing fuel cell solutions for transportation, will develop the 90 kW fuel cell range extender using its OS1L2-45 fuel cell engines. Nuvera will also assist the Hyster Big Truck Development Center with integration and validation testing. Nuvera Fuel Cells, LLC is a manufacturer of heavy-duty, zero-emissions engines for mobility applications. With facilities located in the U.S. and Europe, Nuvera provides clean, safe, and efficient products designed to meet the rigorous needs of industrial vehicles and other transportation markets. 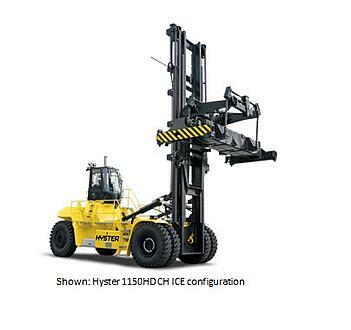 Nuvera is a subsidiary of Hyster-Yale Group, Inc., which designs, engineers, manufactures, sells, and services a comprehensive line of lift trucks and aftermarket parts marketed globally primarily under the Hyster® and Yale® brand names. Hyster-Yale Group is a wholly owned subsidiary of Hyster-Yale Materials Handling, Inc. (NYSE:HY). Hyster-Yale Materials Handling, Inc. and its subsidiaries, headquartered in Cleveland, Ohio, employ approximately 6,800 people worldwide.